Bengaluru-based online lingerie retailer Buttercups Bras Pvt. Ltd has raised an undisclosed amount in funding from Snapdeal’s former chief product officer Anand Chandrasekaran as well as existing investors Kanwaljit Singh and Manoj Varghese. The company said in a statement it will use the funds to accelerate growth plans and focus on a multi-channel engagement platform strategy that includes both offline and online. “We believe that scaling need not come at the cost of profitability. The endorsement and support from seasoned investors gives us the confidence to continue this approach,” said Arpita Ganesh, CEO at Buttercups. Chandrasekaran said the company's focus on rejigging the category will help build an interesting omnichannel business. 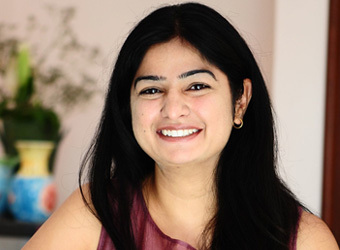 Buttercups was founded in 2013 by Arpita Ganesh and Aaditi Sinha. Besides selling innerwear, the company also provides value-added services that include booking an appointment with in-house fit specialists and fitting rooms for users to try out the products. In 2015, Buttercups raised a little under $1 million in funding from Kanwaljit Singh, Manoj Varghese and Angie Mahtaney. The company claims to have doubled its number of customers over the past year and says it has helped over 3,000 women choose the right products till date. The company has two fitting rooms in Bengaluru and is working towards opening fitting rooms in 12 other cities. It did not divulge details on this planned expansion. In the lingerie e-tailing segment, Bengaluru-based Actoserba Active Wholesale Pvt. Ltd, which owns Zivame, is the most funded player having raised $52.44 million till date. Some other significantly funded players in this segment include Noida-based Purple Panda Fashions Pvt. Ltd, which owns Clovia, and Mumbai-based MTC Ecom Pvt. Ltd, which owns Pretty Secrets. Singh is the founder of Fireside Ventures and previously co-founded Helion Venture. Chandrasekaran, who quit Snapdeal in May, has been an active angel investor. His portfolio includes food-tech startup InnerChef, healthcare products delivery startup Pluss, mobile-based gaming network app Gamezop and online marketplace for renting bikes and appliances RentOnGo.